On PyDev 1.6.4, an improved unittest support was introduced. 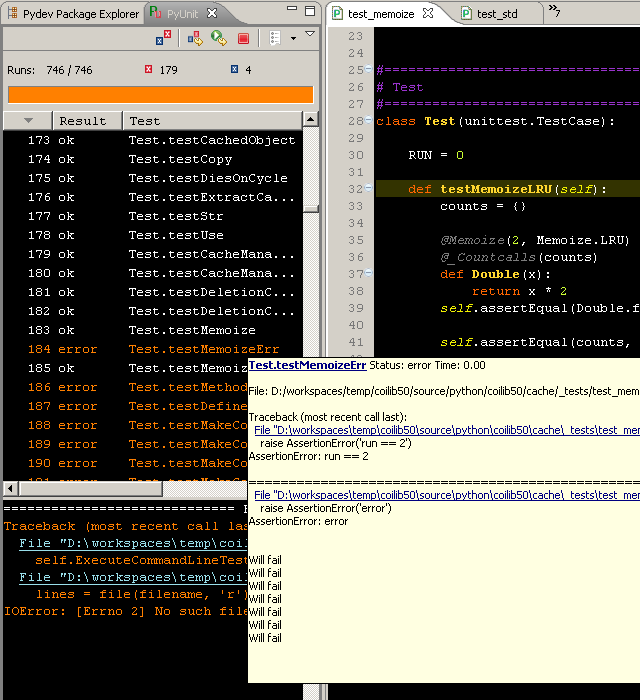 It allows using different test runners (the default PyDev test runner, nose or py.test) and allows seeing the results in a view (PyUnit view) with a red/green bar which also allows re-running tests. Note: currently when using the xdist plugin, the results won't be properly shown in the PyUnit view. 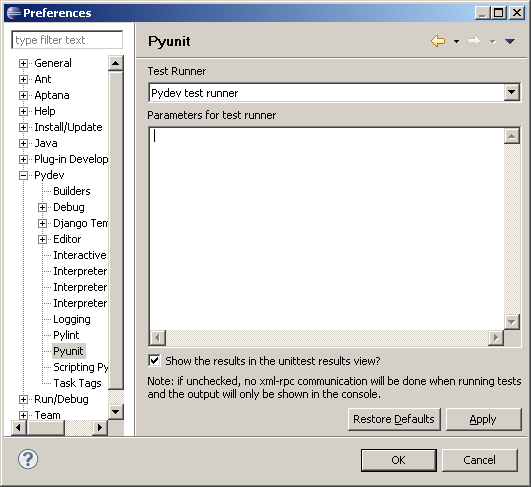 The PyUnit view may be used to see the results of tests being run, their output, time, re-running tests, among others.